Looking for a game that's out of this world? 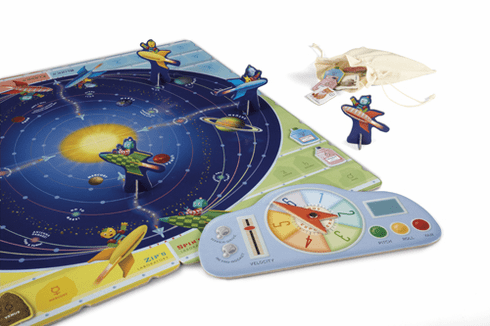 Try thisÊRobot Explorers Game - A Solar System Race Game! Your Robot races around the sun to all eight planets - every one has specimens that you must grab for research in your rocket lab. First to fill your science shelf? Congratulate your robot self! Ages 5+.